Braun’s Cruzer 6 is a pretty slick device. It’s meant for both head and beard use, and as such it comes with 2 different heads. One is specially for the head, one for the beard. It’s got some nice features such as a dual battery that adjusts to make sure you always have the most powerful motor speed running to cut through even tough hairs. Between both head attachments it’s got 12 length settings, which is a pretty good amount, putting it in the middle of the pack. We’re looking forward to getting a nice video review done of this unit, but we’ve done a ton of research before hand, compiling results and reviews from across the web and real users. The biggest draw to this model is that it is very versatile. With the dual battery system, it has the power and flexibility to get through even the toughest stubble, and with 2 different heads with differing lengths, you’ll be able to trim pretty much any style, shape, and length of beard (plus your head, if you want, which is what it’s designed for). Not only that, but it has a nice little edging tool that pops up and allows you to get really precise with the cuts you’re making, which is great if you’ve got a goatee or are trimming your cheek or neck lines. You get roughly 40 minutes out of every charge, which is about average, but what we loved is that you can use it while it is plugged in. A lot of the time you will find that with battery models, if you don’t plug it in to charge regularly, you can end up with a low charge at the end of your beard maintenance, and that can cause hair pulling and can be pretty ugly. Plugging it in allows for a constant level of power, which makes for a great shave. 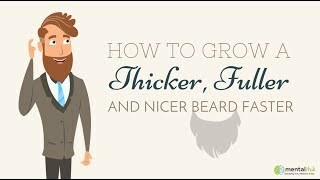 Overall, we like that this has huge versatility, we trust Braun when it comes to making good products, and would recommend the trimmer for guys with average beard trimming needs. See more options on the beard trimmer review page.